Pizza is a dish that perfectly encapsulates everything great about Italian cuisine: a few fantastic ingredients simply combined and beloved by all. It’s taken over the world (there are even pizzerias in North Korea) and now comes in all forms, from mass-produced and frozen to artisanally prepared and cooked fresh in wood-fired ovens. Of course, homemade is always going to beat shop-bought, and our collection of pizza recipes range from the simple to the heavily embellished. 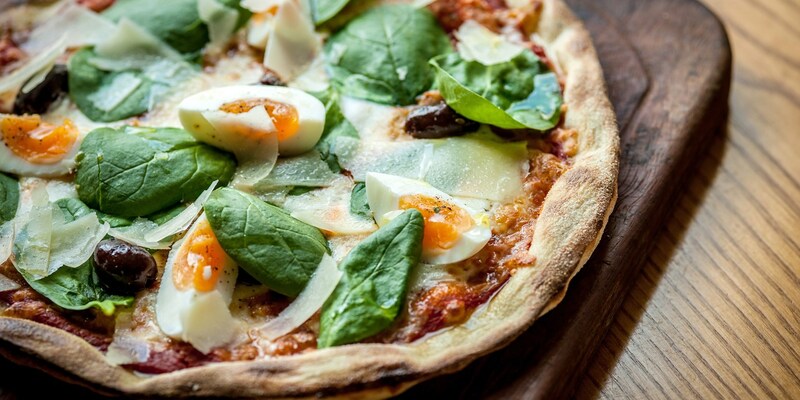 Paul Ainsworth might be a Michelin-starred chef but his love of pizza clearly shines through in his recipes for Pizza Fiorentina and Pizza Giardinera. William Drabble gets the kids involved in pizza making with his Pizza hearts, and Victoria Glass creates a wheat-free crust for her Gluten-free pizza. Change things up a bit with Selin Kiazim’s köfte pide, the Turkish take on pizza, or Vivek Singh’s inventive ‘naanza’, which uses naan bread as a base. If it’s authentic pizza you’re after, check out our collection of pizza recipes on Great Italian Chefs, which includes recipes from some of the country’s most celebrated pizza chefs.